What is it about Italy and Italian people that so captivates our world? From Goethe and E.M. Forster to Frances Mayes and Anthony Doerr, writers have sought to crack the code on la dolce vita for centuries. Why? The uniquely Italian idea of bella figura hasn’t always enjoyed such generous interpretation. Previous writers on the subject have, at times, resented its supposed cultural imperative to put on airs and make a good impression at all costs, citing the pressure to “fake it ‘till you make it” as nothing more than hypocrisy. Mohammadi recognizes this pressure, but chooses not to dwell on it. Like this article? Don't miss "Bella Figura and Brutta Figura: Italy’s Beauty and the Beast!." To Mohammadi, beauty―from the arc of an eyebrow to that of a rolling hillside vineyard or a muscular Maserati―is less a function of making an impression on others as it is a function of delighting oneself, of developing one’s pleasures. Ultimately, she says, her understanding of bella figura begins with self-love, a concept that was quite foreign to her before moving to Italy. Like this article? Don't miss: "Talking to: Federico Rampini, The Chief New York Correspondent for Italy’s La Repubblica Newspaper." Bella Figura’s epilogue describes how Mohammadi’s first year in Florence extended into the decade that followed, and includes a list of practices for bringing self-kindness and beauty into everyday life, anywhere around the globe. The first, and perhaps simplest, is to drink a spoonful of high-quality extra-virgin olive oil four times per day, a trick Mohammadi picked up for brighter skin, hair, and happier digestion. She also promotes the benefits of pausing for meals rather than eating on the go, seizing any opportunity to move, and smiling. 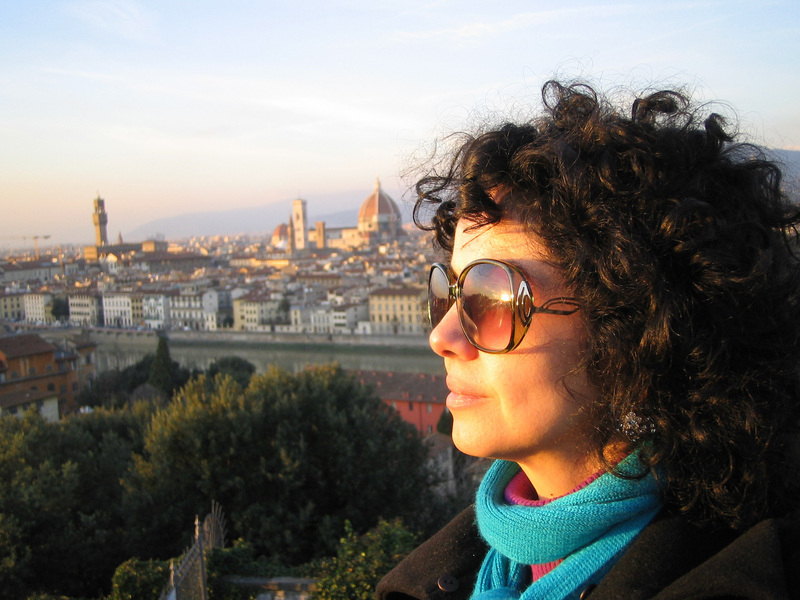 Of course, the best way to live like an Italian is on Italian soil, and Mohammadi recognizes how lucky she’s been to live primarily in Tuscany. (She still returns to London two months out of the year to work in publishing and media.) But for those of us who can’t make Italy our home, how can we bring Italy home to us? “Love yourself. Make friends with yourself,” Mohammadi says, “and drink olive oil.